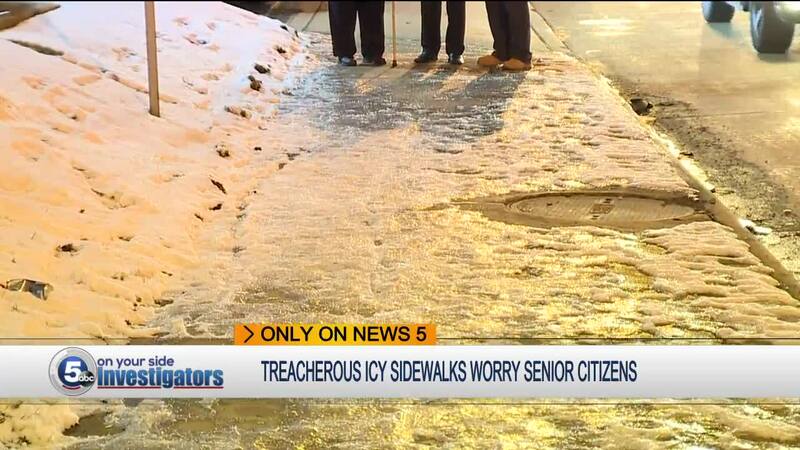 Some Mayfield Heights seniors say icy sidewalks in city business districts have them concerned about safety. Don Smith is just one of hundreds of seniors who live in the Villa Serena Apartments on Mayfield Road, who consistently walk to the bus stop, or area stores at the Golden Gate and Eastgate shopping centers. Smith said many seniors, who live in several area apartment communities, rely heavily on clear passable sidewalks, and that plowing isn't enough, especially with northeast Ohio's early freeze/thaw cycle. "I fell, I mean no ifs, ands, or buts about it, two or three times," Smith said. "I have to walk very gingerly, watching my steps, really trying to walk on the edge. But even if you walk on the edge you have to be careful." "The city does plow the sidewalks in business and school districts, but no one returns to put down any salt or finish the job, and it's a real hazard when you're walking on it." Noreen Lamoureux told News 5 she's watched many people fall on the ice and said according to the city website , it's responsible for the business districts. Lamoureux is hoping the city service department will add salt to the sidewalks, after it plows the snow off them, especially because Mayfield Heights has a vibrant senior community that enjoys walking to local stores and businesses. "Even younger people I've seen fall out here, I've seen them slip," Lamoureux said. "The cold doesn't stop us, we go anyway, we want to be independent. We love having the stores around us, so we can get out when we need things." 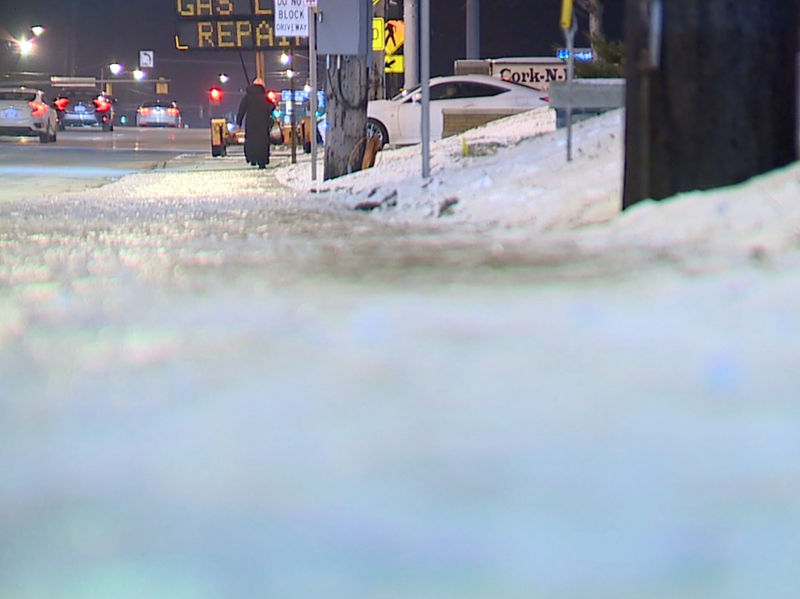 News 5 contacted the Mayfield Heights Service Department, it responded immediately and told us it plows nearly 20 miles of sidewalk on a regular basis during the winter months, but it said plowing city streets is still the first priority. The service department told News 5 it will now look into installing salt spreaders on its sidewalk tractors as a possible solution. Lamoureux told News 5 spreading salt on sidewalks in the business districts will help hundreds of seniors daily. "For seniors, to be walking, it's exercise, it improves your mood overall," Lamoureux said. "You know, don't forget us seniors."